Do you have a problem with oversleeping? Category Archives for "Sleep Hygiene"
Not getting enough sleep can be a very frustrating experience, but even more frustrating is figuring out why. There is a long list of things that could affect your sleep, from your sleep hygiene and daily habits, to medications, diet, exercise, and medical conditions. Here are some of the most common things that might be hurting your sleep. Try to find ways to relieve your stress if you have been suffering from sleep deprivation. This might mean cutting hours at work, practicing more self-care, reducing time with toxic people in your life, or just finding simple stress relievers like exercise or taking a day off every week. You might also not have good bedtime rituals and sleep habits. The way you get ready for sleep each night is just as important as the quality of your mattress and having a relaxing sleep environment. If you watch TV on the couch every night and fall asleep there, you are going to wake up with back and neck pain, and have trouble falling back asleep. Start preparing for bed an hour or so before your actual bedtime by winding down, relaxing with tea or a bath, and doing quiet, relaxing activities like journaling or reading. Make sure you do this consistently every night to get your mind and body ready for bed. 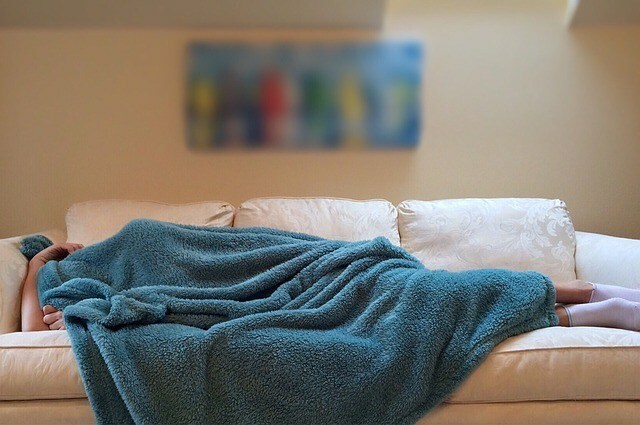 Do you keep your TV on at night or use your phone until you finally fall asleep? If so, this might be why you are suffering from sleep deprivation. These distractions can seem like they are helping you fall asleep, but they also cause a lot of disturbances every time you wake up. If you are checking your phone when you wake up to roll over to your other side, your brain is becoming more alert from whatever notifications or emails you have. This is really screwing up your sleep. Keep the phone away from the bed where you can’t reach it, turn the light off, and turn off your television and laptop.